We struggled to implement time tracking in our company. In a company that makes time tracking software! It is known that tracking time will benefit in the long term. But still – it is so frustrating and time consuming when again and again, you force people to do something that they don’t care about! This process can be really painful, for both employees and managers. But at the end, we manage to collect 10 fatal mistakes, so we and you will never make them again. 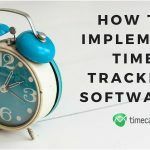 If you are struggling with timesheet software implementation, read the whole post. We spend a lot of time talking to our customers asking them what they need time tracking for, as well as what kind of problems it solves in their organizations. At the same time we didn’t have precise answer for our own team members. Everyone should understand what we are doing this for and what the benefits are! What is important, is that the notice should be repeated every few weeks. In their daily routine the employees forget about the goal and lose their motivation to achieve it. There are many situations like this, when people don’t know where to track their time to. 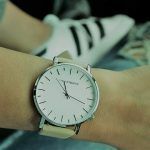 Without clear guidelines the employees don’t know where to assign the time in particular situations. They have problems with assigning a coffee break or their own work organization. It happened to us all of the time as we didn’t establish the transparent structure of projects and tasks. If people are not sure, time tracking will be a frustrating experience. We left people confused and as a result, we haven’t achieved what we planned to. Though, if we started to register the time, we still couldn’t accurately estimate where it has been allocated, or which tasks required more resources and which were the most profitable. In our case too many people had the privilege to add their own projects and tasks. It created some kind of disorder in the structure and in the reports. The assignments were multiplied, put into different projects or had different names given. This made the employees even more confused when they were about to fill in their timesheets. They were unsure of which task to select or in which field they should assign their time, so they created a new item. Never-ending story. Limit permissions to only a few people. People should know exactly to what they should track time to. You can’t demand from people without giving the order. If you want your employees to obligatory track time, then you should tell them about it. The command should be explicit so nobody has any doubts. We haven’t done this in the previous two times. We started to record time, but just did it occasionally and for a short period of time. Day after day another person was dropping the experiment. The reason for that was that nobody treated it seriously and we haven’t disapproved of such behavior. It was not anyone’s fault. We just haven’t approached it right. The example comes from the top. Having this in mind the top managers should be role players who lead their employees to the finish line. In our company they were not convinced to do time tracking themselves, so they didn’t show enough engagement in the process. And these are the people who are responsible for time tracking implementation. They should feel the duty to accomplish it. Finally, they also should be accounted for by the team members for their thoroughness in tracking their own time. Everyone was his own boss in this experiment and we let ourselves do whatever we want. It’s not a path that could lead anywhere. Another thing that failed in our venture was a lack of control over the time entries made by the employees. We didn’t monitor how we all managed with time tracking. Everyone was doing it on their own. It was a big mistake. To make people do it right, you should check on their timesheets and reports systematically. At the beginning you should do it even every day. It is highly important, as the first weeks make the habit. Moreover, they show what the problems with time tracking are – how to assign their tasks and what the technical difficulties are. This was the knowledge we were missing. We didn’t show our members how to register their time in the easiest way. We also didn’t share best practices that could make it a more effortless experience for all of them. They had to struggle with it alone. It’s not surprising that after a few weeks they had enough and simply stopped doing it. People were not aware how useful the insights might be. We didn’t show them that the hours they registered were actually analyzed, that we use them for particular reasons and that they are very helpful in our further work. To successfully track time you should do it regularly. It is good to gather your team and discuss the results. Present them and discuss what those figures are needed for, for example toto estimate the profitability of the projects or the commission for the salesmen. We had no unambiguous vision of how to measure the progress and couldn’t decide how we should assess the progress made in registering our time. Even though, the first two trials turned into a failure instead of a spectacular success, they helped us learn a lot. They made us more aware of the problems that may occur during the implementation. Mistakes we’ve made gave us a precious knowledge of what it all should look like. Thanks to this, we are able to share it with you. Hopefully, this time the whole implementation will go as smooth as we assumed it would at the very beginning. Soon we will update you with more lessons we learned during time tracking implementation. Feel free to leave a comment and show how it worked in your company. How To Avoid Mistakes While Implementing Time Tracking Software? TimeCamp management was not convinced Time Tracking is a good idea?? In our first attemps we were sure it is very good idea, but we didn’t have very clear goal – why we should track time. So we didn’t communicate this with our team. Peple were frustrated – is it worth their effort? But the lesson is learned, and we will share this in next posts. This is a pretty bold expose considering items 2, 3 & 6 are fairly serious organizational issues. On the other hand this is an excellent case study for implementing change. 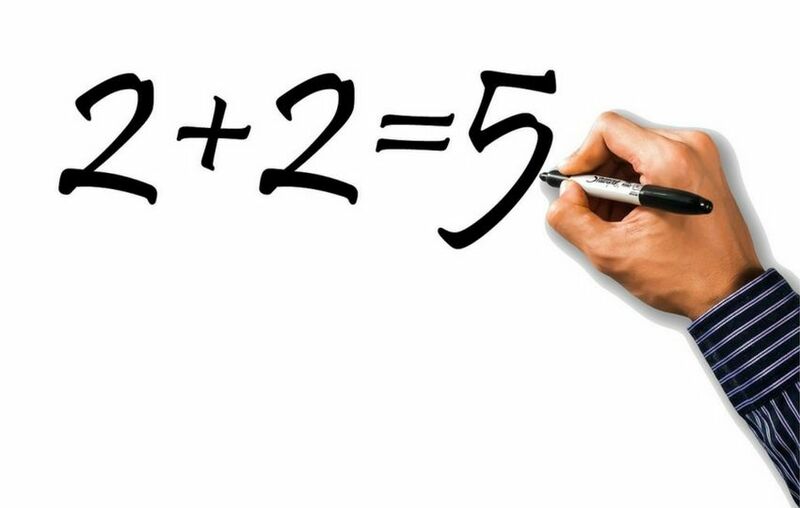 First, have one person in charge 2,3,6,8,9,10 even if their structures and practices may not be the best, picking one idea and running with it is better than thinking about several and not acting. Second, that person in charge holds the kick-off meeting which explains why it’s important, what the benefits are and how each person should do it. Lastly, our person in change with follow up with everybody daily, making sure they’re following the change, getting their feedback and tricks. It’s only after a new process is being used that it can be improved. 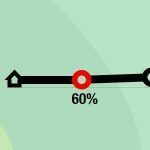 This is a really great article and case study on the difficulties of implementing change in an organization even the barriers of change in using your own product or service within the organization. “Not Eating Your Own Dog Food? You Probably Should Be” as a recent Forbes article points out is an important characteristic for building great software, but it is not easy to accomplish so kudos to TimeCamp for stepping up and posting such a great post and for continually to develop such a great app. 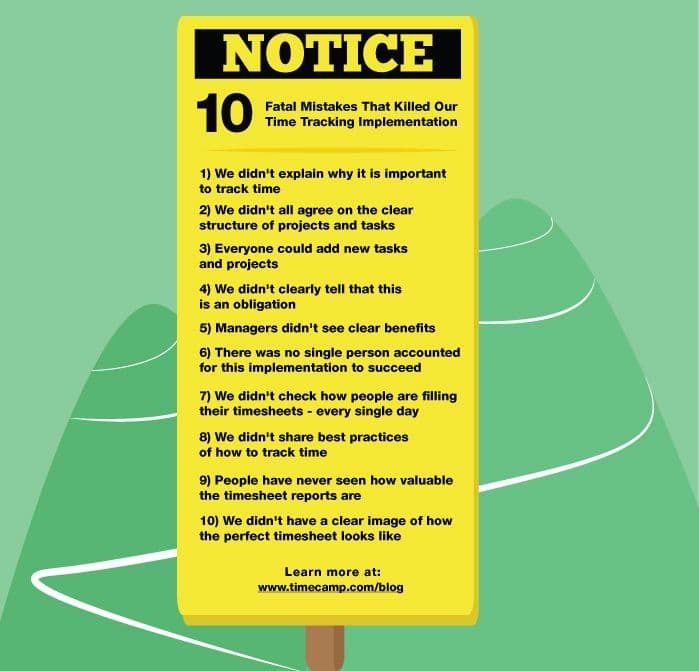 While this article does a great job at demonstrating 10 fatal mistakes, it does offer solutions and processes underwent to understand how employees do want to track their time? what endeavors did timecamp make to gather this information? Tom, this is our second post in a series of posts. We want to share those lessons in further posts, because we feel that for this moment we don’t have enought learned to write a blog post. well, I use timecamp daily as a freelancer. I use it to keep track of work and as a basis for billing. Since I only use the basic features I actually grew fond of it and rely on it, so for me it was and is still working! Although I don’t really like the other rather/new pale UI I hope I can continue to use it. Well, keep up the good work Kamil. Add complexity in a simple way which can ve eadily understood and can be custom tailored. My client had this problem recently and they still dont know how to tavkle effectively these kinds of changes in future. Problem…few people working on a project were asked to work on a different project for an unknown time. Every week these fellows fill the TS then the onsite project coordinator need to inform the account managers, both the project managers, recall the TS, add the second project fill it and submit it. Both PMs should explain the pmo, the directors on this change which impacts on budgeting on both projects as well as resource management. More recalls of TSs leads to kore communication, more problems , wasting everyone’s time. Please think through this complex scenario and let us know what could be the solution from your app. This blog posting and your honesty and vulnerability in posting it (coupled with my finding it by searching on Google for just these sorts of problems) led me to begin evaluating timecamp for one of my clients. I don’t know what will come of it, but I appreciate companies that are honest and forthright. I like working with partners that don’t have all the suave answers and solutions and show some of their own challenges and issues. Daryle, happy to hear that TimeCamp met your expectations! Many thanks! Thanks for enlightening the mistakes that oftenly affect the time tracking. All the points are remarkable and true at greater extent.